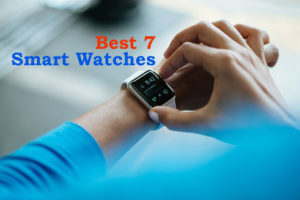 Activity trackers are devices that can monitor and track fitness related key metrics like distance covered, calories shed, heart beat rate etc. With most tasks that require physical activity being automated, many of us lead a sedentary life. Here, stems the need for activity trackers. Something that started out as a standalone device has now become synchronizable with a computer and smartphones to enable long term data tracking. 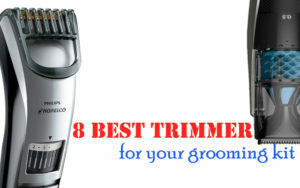 If you are planning to get one for yourself or gift one to somebody, read on. 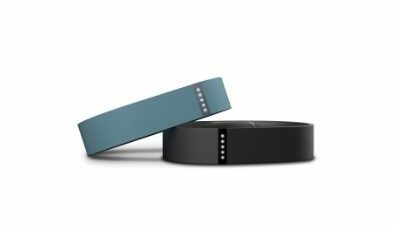 This article should help you decide on which activity trackers to buy. 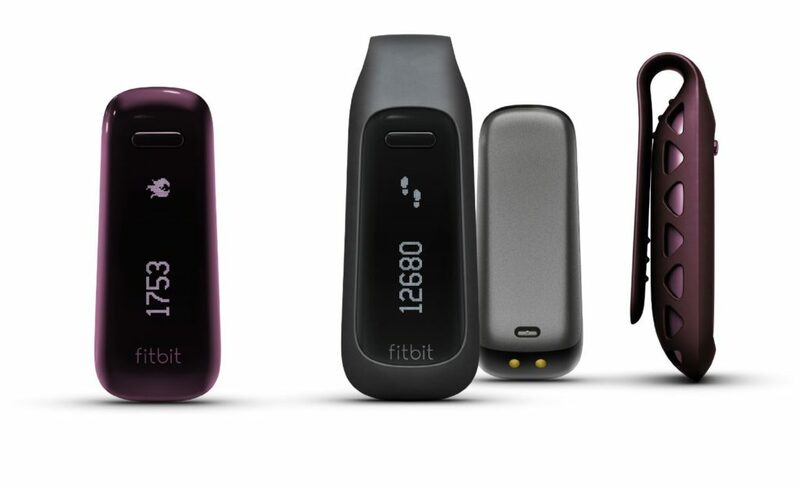 The Fitbit One wireless activity plus sleep tracker is a comprehensive activity tracker that takes care of all aspects for a healthy life. This includes being active, sleeping well and smart eating. During the day, this device keeps a track of your steps, distance traveled, calories burned and number of stairs climbed. At the night, it tracks your sleep cycle to help you realize how to sleep better. It can even wake you in the morning. Your fitness stats get uploaded wirelessly via computer, or select Bluetooth 4.0 compatible devices. Enlightened by your stats, you can set individual goals, and track their progress. The gadget also has a network of users connected through a dashboard (called leaderboard) that keeps you motivated to do more. The device has a OLED display that shows the daily stats and the time of the day. The device clips securely to your clothing and is water resistant. 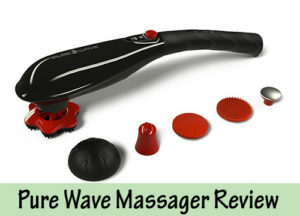 It is powered by a rechargeable battery that lasts over 10 days after a single charge. The Garmin Vivofit 2 Activity Tracker is used to track and monitor your daily activities like steps, sleep, distance traveled and calories burned. It does not have the heart rate monitor though. It features a move bar and audible alert that reminds you to stay active after an hour of inactivity is detected. It has a backlit display that would display your activity statistics and the time. The activity timer in the device records the activities like steps, distance travelled etc. accurately. The Auto Sync automatically syncs via Bluetooth with paired mobile devices through Garmin connect at crucial times throughout the day. This gadget can hold its charge for more than a year. Yes, you heard that right. You wouldn’t have to worry about the battery factor for over a year. This is something most of you would be yearning for. I also liked the fact that this device would remind you to literally move. The move alert builds in a bar for every 15 minutes of inactivity and when the idleness is detected for one hour it starts beeping. For lazy guys like me this is a huge motivation to get moving. In spite of having a backlit display which can be viewed in any light conditions, this device weighs less than an ounce. You would love to wear this! As the name indicates the Lumo Lift Posture Coach and Activity Tracker doubles up as a Posture coach as well. It tracks the posture hours along with the number of steps, distance traveled and calories burned. The device is equipped with sensors that generate vibrations to remind you to stand tall or sit straight. Basically, it will send you a gentle vibrational reminder whenever your slouch so that you can correct yourself. 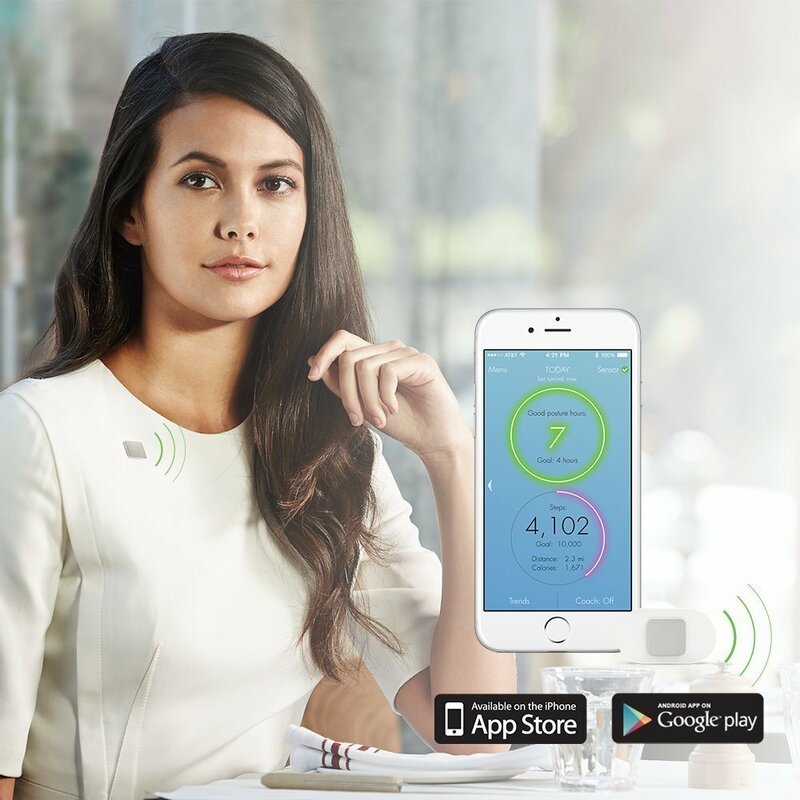 You have to activate the device first using the free Lumo Lift Android/iOS app by installing it in your smartphone. Also, you are required to download the Lumo Lift manual from the Lumo Lift website (www.lumolift.com/manual) before you start operating the device. You get to buy a separate blue dongle for use with Windows to customize your posture coaching and track the progress. 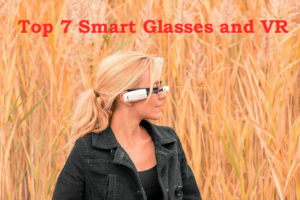 This gadget is compact and lightweight that it can be worn as a fashion accessory. Its discreet build enables you to even wear it underneath your clothes and nobody would even know that you are using it. It can be worn right under your collarbone. Using the angle displacement as a metric, the biomechanical monitoring sensor in this device will calibrate itself at first use to determine the best posture. After that, it would remind you whenever it determines sufficient variation from the expected posture. 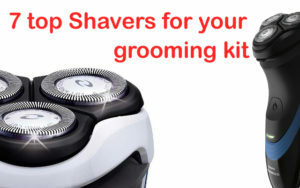 Measuring just 1.8 x 1 x 0.5 inches and weighing less than half an ounce this is ultra-compact. At this size, you cannot expect it to have a display panel. I found getting used to this device taking at least a week as I had to remember the different modes and buzz types. If you are keen on getting your posture corrected, this is the gadget for you. Microsoft Band tracks your heart rate, exercise, calorie burn, and sleep quality, It consists of eleven sensors including UV monitor, GPS, barometer, optical heart rate monitor and many more. It has a goal setting feature and guided workouts designed by professionals that will help you reach your fitness goal while constantly monitoring your progress. The power of cloud computing has been put to good use to bring you all the data collected in advanced yet understandable reports. These reports can be accessed from a computer or the App. This device is more than a mere activity tracker. You can achieve more with text, email, and calendar alerts at just a glance. Advanced sensors linked to the device track data specific to running, biking, and golfing. The advanced analytics gives you useful insights. The app can be used to connect with other premium and popular, apps and services. The Microsoft Band 2 comes in three different sizes. The size medium suits wrists of size 6.3″-7.5″ while the small size is for 5.7″-6.5″ wrists and the large size for wrists as large as 7.3″-8.5″. The first thing you would notice about the device is its wonderful design. The curved design does give it a splendid look. 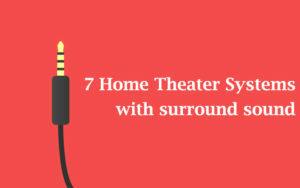 The best part about this premium gadget is that it offers cross platform compatibility. It works with Phone, Android and Windows Phone platforms. This is a premium device with advanced features you would love exploring. 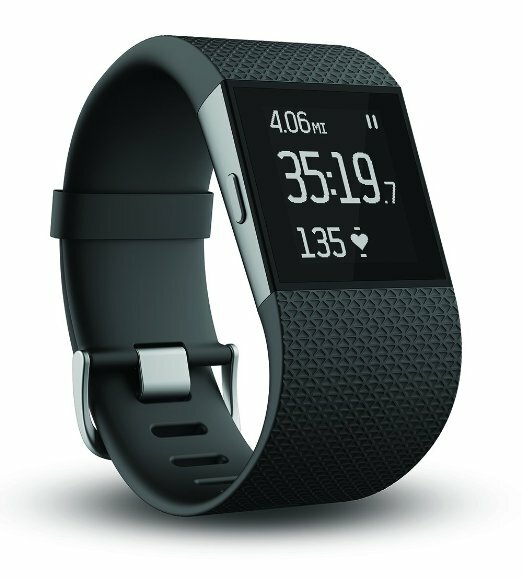 As the name indicates the Fitbit Charge HR Wireless Activity Wristwatch comes with a wireless syncing capability to record and analyze your stats while you run, walk or climb steps. The wireless sync works with more than 150 models of smartphones. The device tracks the heart rate (accomplished using the PurePulse), calories burned, active time, number of floors and steps climbed and can tell you how close you are to your goal (you can set the goal). 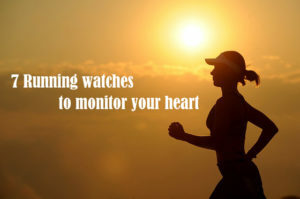 The heart rate monitoring is important when you work out so that you can exercise without any chest strap. Charge HR Wristband tracks how long and well you sleep and sets a silent and vibrating alarm to wake you up. 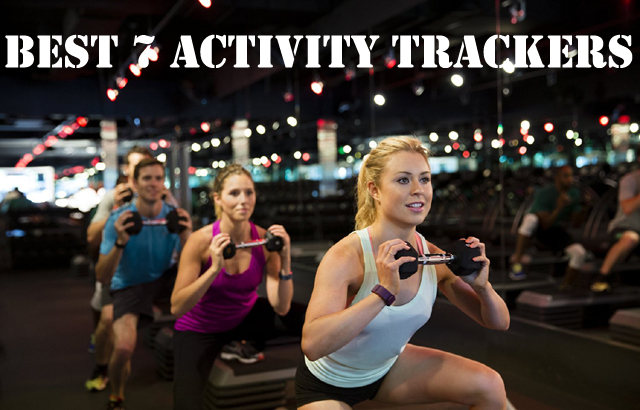 The SmartTrack recognizes and tracks all your exercise automatically. You can put your Fitbit Charge HR into Exercise mode so that the device will add up all your activity to analyze and prepare summaries. The OLED display on the device shows you the call notifications, time and daily stats. The battery has a life of 5 days. The Charge HR will allow you to stay connected by showing the call notifications. The band comes in 6 different colors and measures 8.2 x 0.8 x 0.4 inches. 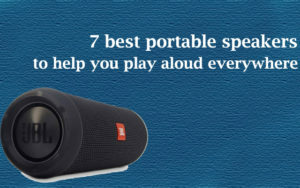 This intelligent device, in spite of having all those advanced features weighs just 5.6 ounces. The Fitbit Flex Wristband is a wrist watch used to monitor your active minutes, distance covered and calories burned. It also tracks your stationary time and hourly activity. This wrist watch monitors your sleep and sets an alarm to wake you up without disturbing others. You can set a goal and the LED lights on the watch shows your progress towards the goal. The wireless syncing in the wristband syncs the stats to your smartphone and the computer. Almost all the smartphones are compatible with the Fitbit Flex Wristband. The Fitbit Flex Wristband comes in ten different colors to make the slim device more stylish. The battery lasts for 5 days and the wristband is water resistant. 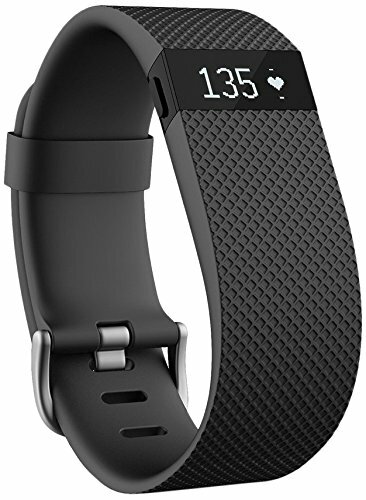 To make the wristwatch more stylish the Fitbit gives a collection of fashion accessories. You can easily change the band by popping up the tracker out of the wrist watch and fitting it into the accessory. I liked the simple and compact design of this Flex Wristband and I am planning to buy this. The Surge Fitness Superwatch from Fitbit, is the ultimate fitness activity tracker with GPS tracking to calculate the pace, distance traveled and elevation climbed. 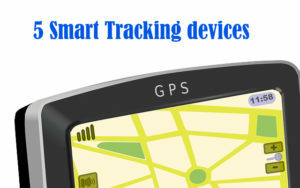 Using the GPS Tracking you can review the routes you took while walking or running. The PurePulse feature in the Surge gives you the wrist based heart rate to monitor the calories burned and maximizes the benefits from workout. The heart rate sensor or the PurePulse LED light reflects off the skin to monitor the capillaries expansion and contraction. Surge Superwatch helps you to track your all day activity with the help of the 8 sensor technology. 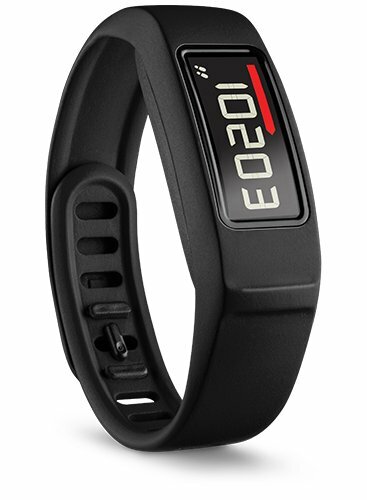 You can track the heart rate, active minutes, steps taken, distance covered and calories burned real-time. Surge not only monitors your daily activity it tracks every aspects of your training. This is accomplished by the SmartTrack exercise recognition and multi-sport functionality. SmartTrack detects your sport mode while working out and multi-sport allows you to select the mode. You can use the Fitbit App to get your notifications on your smartphone and stay connected for the motivation you need to work out towards your goal. If you want to share your stats with your friends get your Fitbit Surge connected to Strava account (a social network for athletes). Other than these options you can sync your stats wirelessly to your smartphone or computer to display the stats as graphs and charts. The Surge works with smartphone platforms iOS, Android and Windows. I can say that the Fitbit Surge is a complete activity tracker.